Staying on the island of Oahu in Hawaii doesn’t mean you have to shack up in a tiki hut with awful rattan furniture, unless you like that sort of thing! Oahu offers all kinds of hotels for every budget—from cheap to luxury accommodations and from resort living to chic hotel rooms in the heart of Waikiki. There’s truly something for everyone on Oahu. In today’s newsletter, I’m going to share five excellent Oahu hotels for all sorts of budgets and tastes. To book any of these, visit Otel.com to get the best possible rates for your preferred travel dates. Those seeking luxe accommodations might want to consider the Trump International Hotel in Waikiki. As the name suggests, this hotel isn’t for the faint of heart (or light of wallet) with regard to budgets. Rooms start from around $400 and go up to thousands of dollars for a penthouse suite. This 38-story hotel boasts spectacular ocean views, 462 luxury guest rooms and suites and exceptional amenities. There’s an infinity pool with an expansive lanai deck, excellent al fresco dining and signature spa treatments. The hotel’s basically everything you’d expect from one of Donald Trump’s properties! Waikiki’s famous beach is just steps away from the Trump International. The hotel’s also close to the action, with lots of shopping and eating options nearby. If you’re looking for something a little more boutique chic, check out Hotel Renew—Honolulu’s first-ever designer boutique hotel. Rooms start at about $200, a mid-range price that won’t bust your wallet. The decor offers guests a personalized and intimate experience, and it’s known for its subtle and calming contrast to the vibrant energy of Waikiki. The hotel designer focused on crafting a tranquil hotel with zen colors and style. It’s simply a beautiful and elegant property. The hotel offers many free perks, including chilled beverage upon your arrival, morning coffee and tea service with choice of pastries, newspapers, beach gear and wireless Internet. There’s even a weekly mixer with hosted cocktails! Hotel Renew is also in Waikiki, making this accommodation an easy choice for those who want to accommodate a modest budget but get a boutique experience, all with the convenience of a central location. There’s nothing like a huge, sprawling property to make your Hawaiian vacation delightful. Resort living offers so many conveniences that it’s worth the “long” 30-minute drive from Waikiki to Oahu’s North Shore, where Turtle Bay is located. Accommodations at Turtle Bay start at $250, so it’s by no means an outrageous price for a full-service resort. There are 443 magnificent rooms, including beach cottages, villas, standard rooms and suites. The number and variety of accommodations is great. Turtle Bay is a gorgeous property where you can take in the splendor of Kawela Bay, Turtle Bay, and the windward view of the South Pacific. It is known as the only destination resort on Oahu’s North Shore. 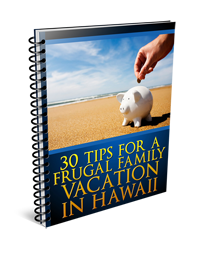 Try a vacation rental like The Hula Breeze if you’re on a budget and want something different than the typical hotel experience. This rental is located in Kailua, only 15 miles from Waikiki on the east side of Oahu. Rooms are only $150 and sleep two to three people. These accommodations feature a kitchenette with a full-sized refrigerator, BBQ grill, sink, microwave, hot-plate dishes and cutlery. Having your own kitchen is a great way to save money on eating out! The Hula Breeze is just a few blocks from Kailua Beach, a premier beach on the east side of Oahu that lacks the pushy tourist crowds of Waikiki Beach. You can rent kayaks, surfboards, paddleboards, bikes, kiteboards or windsurfing gear in Kailua for a full day of water activities. The Hale Koa is an even cheaper option located at the edge of the Waikiki neighborhood. If you’re willing to walk a little, you’ll save hundreds of dollars on this budget accommodation that’s popular with families. The hotel is a very large property with all the traditional hotel amenities available. Rooms start at only $75 a night, and there is a discount for military members and their families. The hotel is situated on 72 acres on the coastline, so you’ll be close to the beach. There are also many dining and snack options within the hotel for your convenience. There are multiple event rooms and fabulous restaurants, a gym, family activities and events, a well-appointed spa, tennis courts, a running path, three swimming pools and so much more. 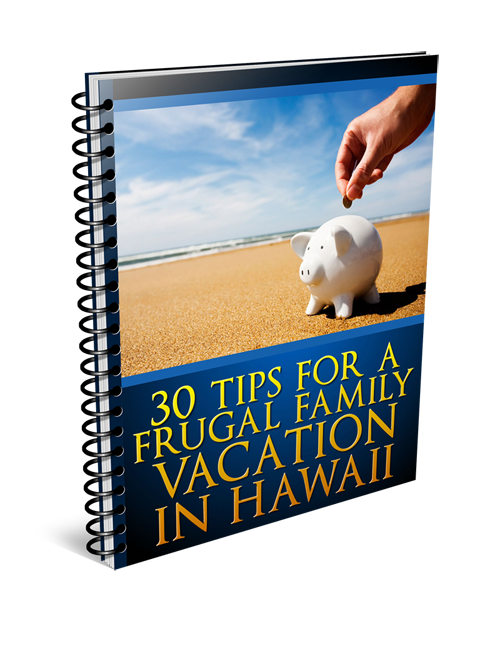 I hope you found great value in this article—as much as you’ll find at the Hale Koa!